This is a sponsored post in partnership with Ulta Beauty, Vera Bradley, Juicy Couture, Amtrak and Her Campus Media. All thoughts and opinions are my own. If you were following me on Snapchat (bygracelee), Instagram, Twitter, or Facebook, then you probably saw that I attended Her Conference this past weekend. 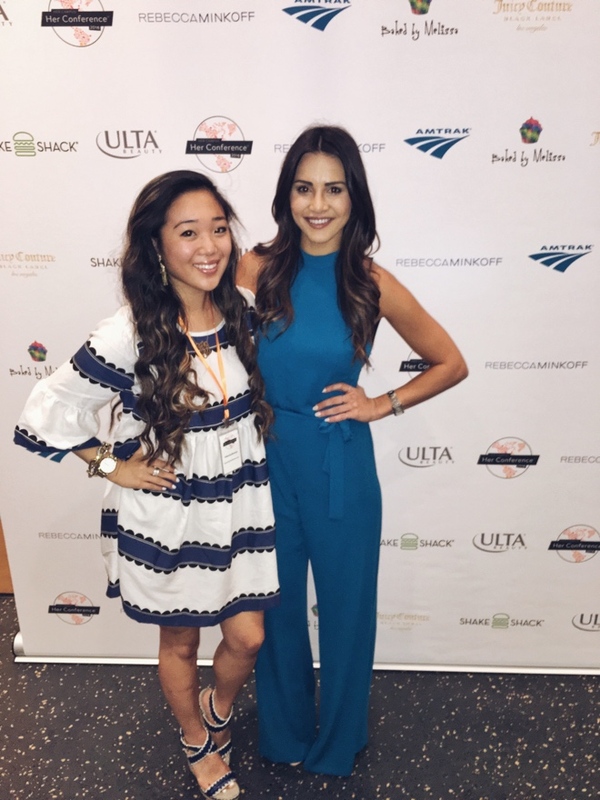 The speakers on Saturday included Rebecca Minkoff, Andi Dorfman, James Nord, and a ton of other social media strategists ranging from Victoria's Secret to Cosmopolitan, etc. Pretty much a wide range of innovative people in one building, to say the least. I'm sharing key tips from speakers and a recap with photos of my day at the event below. In our gifted bags from Vera Bradley, we received these notebooks with schedules and information on all the speakers. 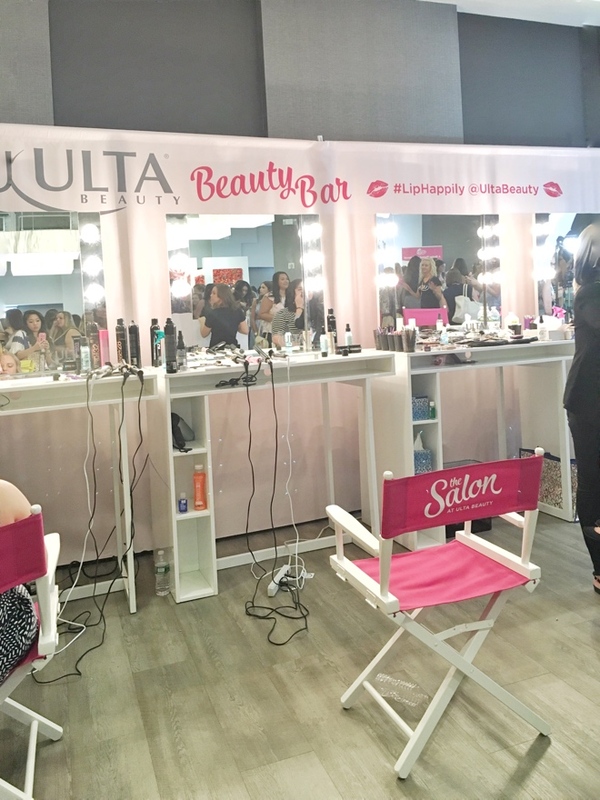 I had to pop by the Ulta Beauty Bar during lunch break for a little touch-up. It was love at first swipe. Ha! 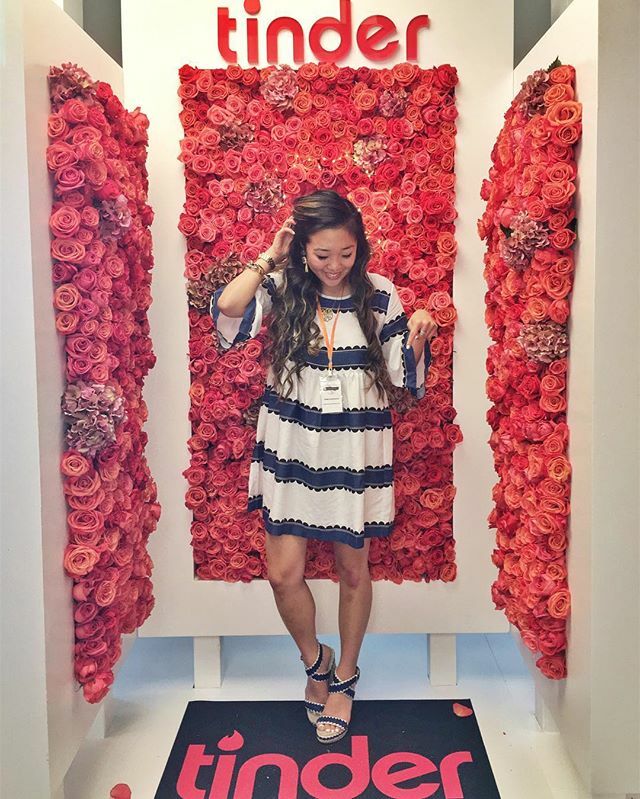 Loved this 3,000 rose-adorned Tinder wall. 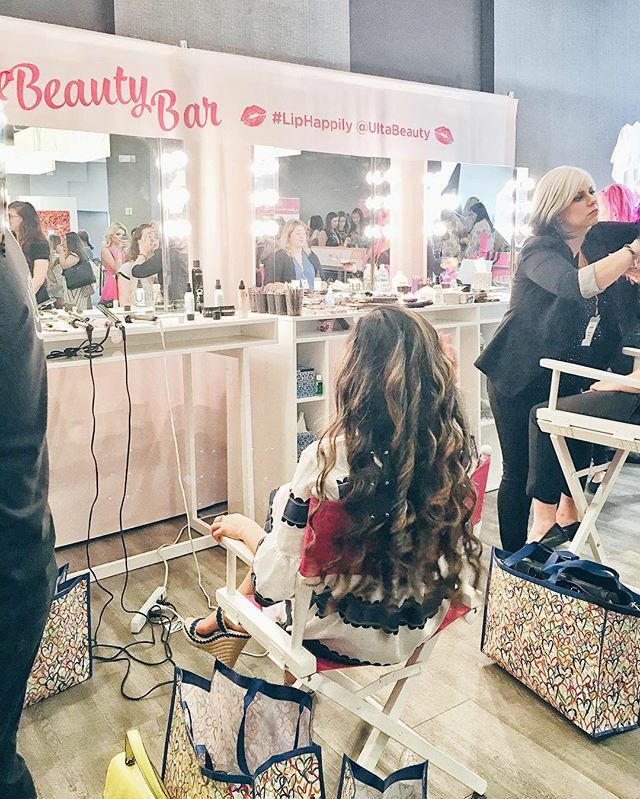 There were several panels after the morning keynote speaker Rebecca Minkoff, so Lauren and I decided to focus on social media and branding and attended the Business of Blogging panel. 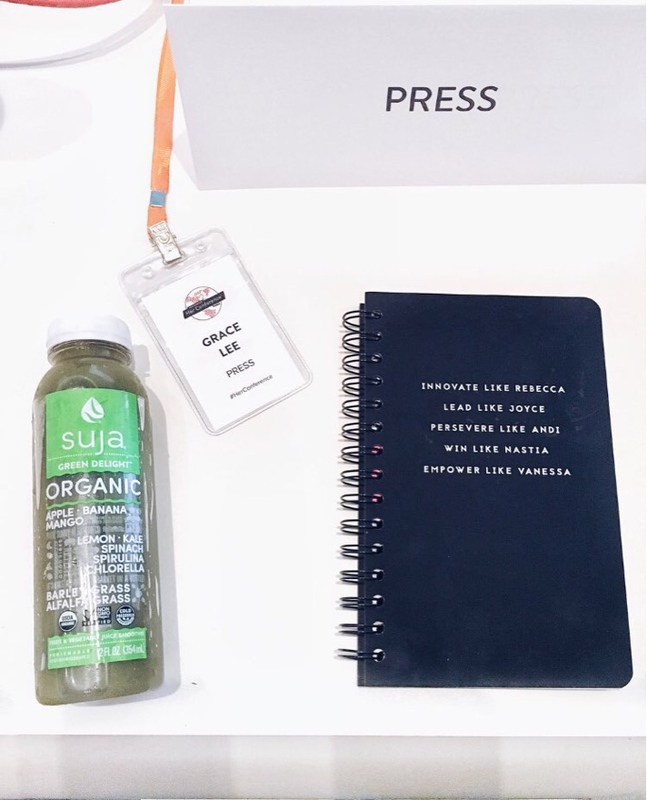 The speakers were Bianca Posterli, Keeley Patterson, James Nord, and Holly Wagner and they focused on what brands and publishers really looked for in influencers. A few things that stood out to me was how the bigger you get as an influencer, the less control you have over your content. The key things I noted were how brands seek engagement with Instagrammers rather than their following number or "likes" or "comments." It's about how engaged the influencer is with their audience and how the brand can benefit with the influencer. Another thing that I took away from this panel was that brands want to see that you work with other brands and that you know how to stay updated in this digital age. Meaning, being able to migrate your following to whatever new social medium comes up. They finished off on selling yourself first, business next, and then your brand. I still have a few more notes from this panel, if anyone is still interested in hearing more about the business of blogging. You can always leave a comment below or shoot me an email! Breakfast was served with Suja and Chobani. 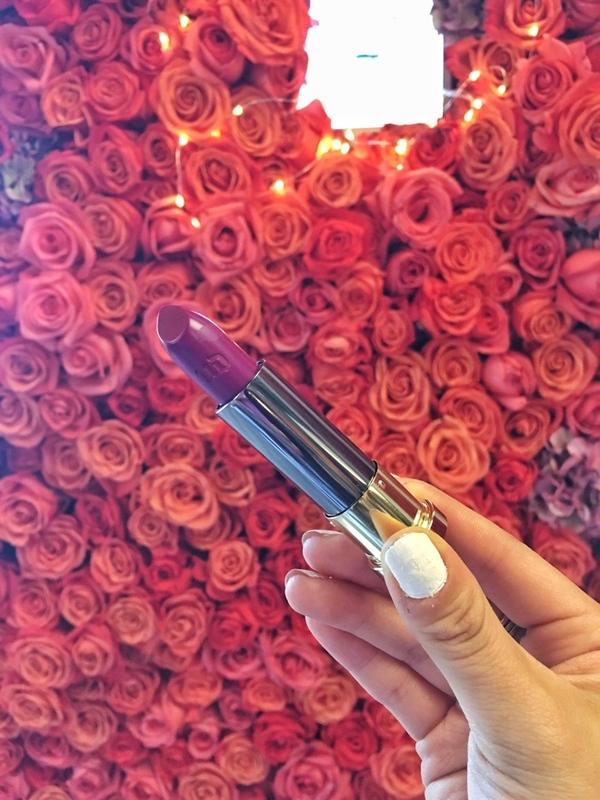 Love this 'Firebird' Urban Decay lipstick from Ulta Beauty from my gifted bag. My favorite speech of the day was from Andi Dorfman. I'm going to be completely honest. I don't want the Bachelor or the Bachelorette. *gasp* I know. I've seen one or two episodes in the past, but was never really a fan of reality TV. With that being said, I had heard of Andi Dorfman, but never really knew her background or her situation. 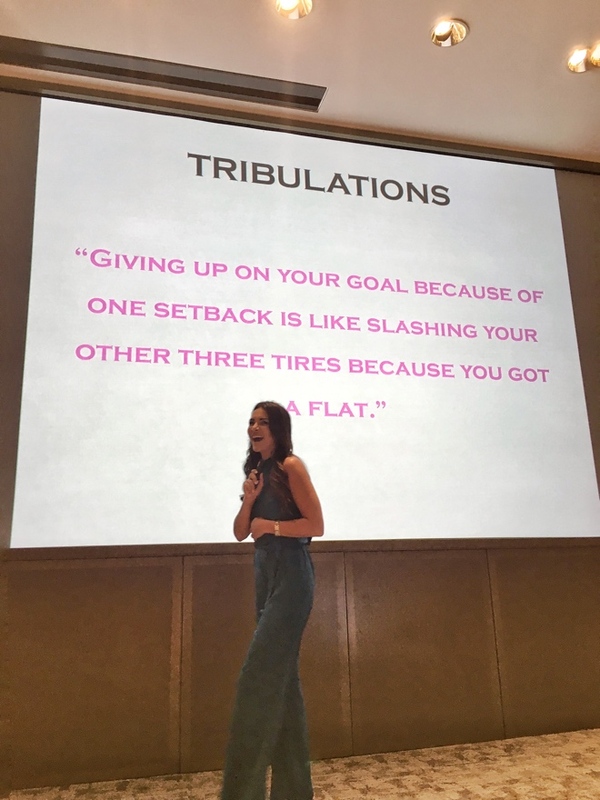 Andi's speech was on perseverance and it hit close to home for me. I didn't realize her situation with all these "failures," as you call it, with her love life and her job in the past years, and for some of it, I felt like I could relate. Her keywords were: "Happiness is the ultimate success." When it comes to perseverance, it all comes down to the mindset. Fixed mindset vs. growth mindset. It was all about acknowledging limitations and choosing and seeing what you needed to improve on. Acknowledging that we are not all perfect. There's areas you're great at and areas that you're not, and having a growth mindset is the mindset to have. The question is... is it easy to persevere? It's hard to persevere because it's scary. It's scary because challenges are scary. But it's also easy in the sense that it's up to you. You have to decide whether you want it or not. When you embrace change, you see a bigger world. The changes that come with it ultimately, are a gift. You don't stand a chance between life and change. It's bound to happen. And lastly, she mentioned how everyone portrays happiness differently. 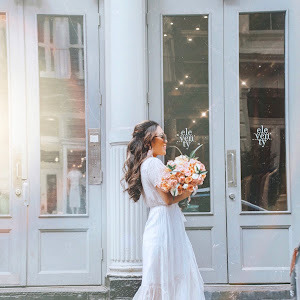 Your friends might be married with kids and they might be happy, and you might be single, living in New York City with a job that you love and still be happy. It's not about how you see happiness, it's about how you feel it. She was incredibly sweet and I really needed to hear her speech that weekend. Like I mentioned, if you have any questions about the conference or any questions about the panels, please shoot me an email or leave me a comment!